The “action level” for workplace noise exposure and the benefits of hearing protective devices vary between individuals, while noise controls must mitigate the risk of exposure to ototoxic chemicals, according to a new guidance statement from the American College of Occupational and Environmental Medicine (ACOEM). It says that while noise-induced hearing loss (NIHL) is entirely preventable through the hierarchy of controls – prioritising elimination and engineering controls over administrative measures and PPE – it continues to be one of the most prevalent occupational conditions across a wide range of industries. The statement was produced by preventive medicine physician Dr Raúl Mirza and others from ACOEM’s task force on occupational hearing loss. Occupational physicians, it says, play a critical role in preventing the condition, and must work with workplace managers, safety professionals, occupational hygienists, HR personnel and others to “ensure that all components of hearing loss prevention programs are in place”. “[They] should emphasise to employers the critical importance of preventing hearing loss through controls and periodic performance audits rather than just conducting audiometric testing,” it says. The principal characteristics of occupational NIHL include that it is always sensorineural (primarily affecting the cochlear hair cells in the inner ear), usually affects both ears symmetrically, and increases rapidly in the first 10 to 15 years of exposure to continuous or intermittent noise, before decelerating as the hearing threshold increases, the guidance statement says. “This is in contrast to age-related loss, which accelerates over time,” it says. •Some workers can suffer from NIHL after exposure to levels of noise below the US Occupational Safety and Health Administration’s “action level”, or safe exposure threshold, of an average of 85 decibels over eight hours. “The evidence suggests that noise exposure from 80 to 85dB may contribute to hearing loss in individuals who are unusually susceptible. The risk of NIHL increases with long-term noise exposures above 80dB and increases significantly as exposures rise above 85dB,” the statement says. As with the US authority, Australia’s national model WHS laws prescribe an exposure standard of 85dB averaged over eight hours. 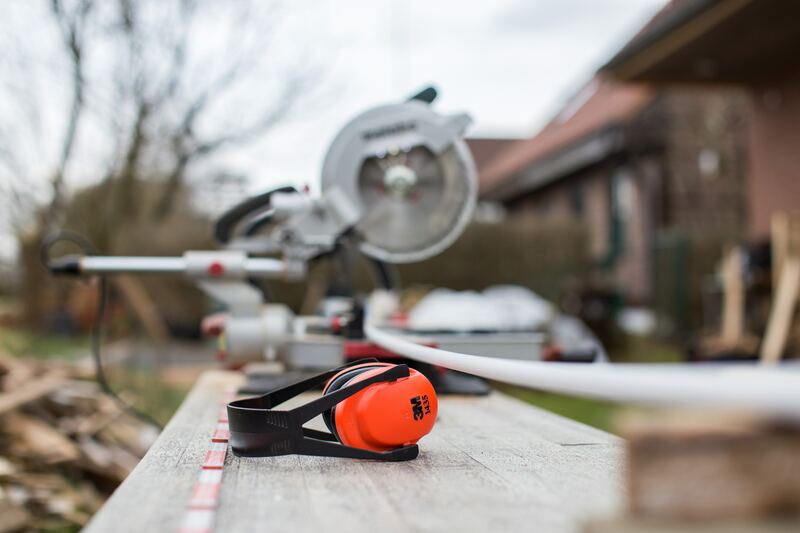 The model WHS Code of Practice on managing noise also warns that peak noise levels exceeding 140dB – from sledge-hammering or a gun shot, for example – can instantly damage hearing. The WHS Code includes a list of 14 questions to help PCBUs determine whether their workers are being exposed to hazardous noise. •Continuous exposure to noise throughout the working day and over years is more damaging than interrupted exposure to noise, which allows the ear to rest, the US statement says. •Workplace noise attenuation provided by hearing protective devices can vary widely between individuals, while the workplace noise-reduction rating of these devices is generally less than the laboratory-derived rating. •A worker’s temporary loss of hearing, or lowered hearing threshold, of up to 48 hours after exposure to loud noise indicates that permanent NIHL is likely to occur if the hazardous noise exposure continues. •Animal tests show that “steady-state” noise combined with intense and frequent “impulse/impact” noise is more harmful than steady-state noise alone, even where the average decibel level is the same. Animal exposure data also suggest that exposure to ototoxic agents like solvents “may act in synergy with noise to cause hearing loss”. “Although the scientific understanding of the role of all these chemicals in human ototoxicity is still evolving, a thorough exposure history to these chemicals should be obtained and taken into consideration when evaluating sensorineural hearing loss. •NIHL can affect a worker’s communications and safety on the job. It is associated with life-threatening factors like hypertension, depression, dementia, social isolation, increased risk of accidents, and retrocochlear lesions. Occupational Noise-Induced Hearing Loss. Dr Raúl Mirza, et al, US, Journal of Occupational and Environmental Medicine, Volume 60, Issue 9, September 2018.